The hunt for a used washer and dryer is a new experience – I know nothing about what to look for. “Does it clean clothes right? Is it gas powered? Where do I put the quarters in?” are all questions I ask that reveal this fact about me. Indeed, I feel like a kid in class who can’t answer teacher’s questions when I talk to people about lint catchers. The kitchen is a particularly unique problem. It’s huge. I mean, bigger than some apartments I’ve lived in huge. Gas range and plenty of storage are boss, but there is such a thing as too much space. There is an echo in my kitchen that is almost as deafening as the dead quiet that hovers about the place when you stand there silently. My adorable aluminum and teak five piece dining set – one I bought for $20 off of craigslist years ago and still consider one of the best finds I’ve ever made – is smaller than the light fixture it cowers beneath. It’s horribly sad looking. The bare white walls are jarring. I’ve never had so much blank canvas to fill up. I rather want to frame a “Keep Calm and Carry On” print and pop it up somewhere but that’ll only put a small spot of color in the intimidating chalk-white landscape. Still, all these things shall pass. Eventually, I won’t have to bother my in-laws to use their laundry machines. Proper art that reflects my taste will adorn the walls in the kitchen. A mahogany table may soon be finding a new home here. Until then cooking is taking a small back seat. This has been a week of simple meals. Recipes for the cookbook, of course, but also salads and steamed veggies because that’s just so darn easy. We’ve been going through scores of pomegranates. Chopping and plucking arils from their tight little butter-colored apartments. We pile them into deep bowls and eat them with spoons. It’s as zen as stacking your pots and pans and deciding which cupboard to place the dishes. 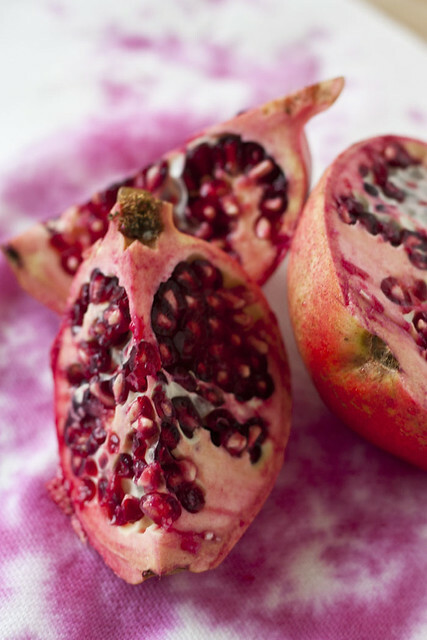 If you don’t know how to de-seed a pomegranate, though, it can be a straining and staining exercise. The trick is simple. Water. The seeds sink, the skins float, and the juice does not spray like the severed jugular of some second cast starlet in a teen horror flick. If you’re in the middle of some project like unpacking – well, this is a nice other project to distract and feed you for a bit. Fill a large pot with lukewarm water. Cut the pomegranate into quarters lengthwise. 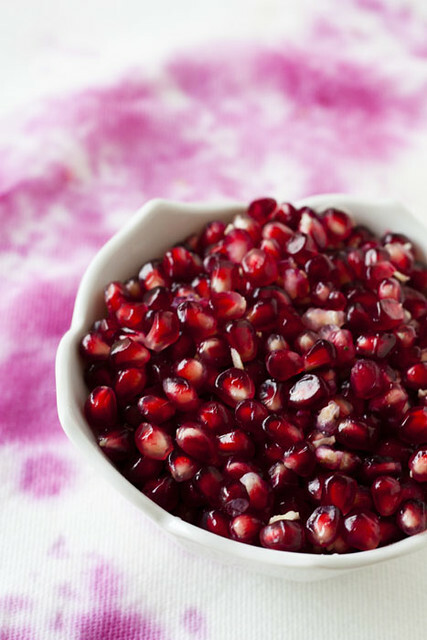 Carefully break apart the pomegranate under in the water of the pot. Use your thumb and fingers to delicately, but firmly, push the arils (the seeds) out of their little beds. The water will prevent any juice from splattering. Furthermore, the seeds will sink while the inedible white bits float to the top. Strain the seeds from the water and place in a bowl and eat. An even cleaner way to do this is to simply score the flesh on the outside in quarters. Then break it apart by the scores you've made once it's in the water. OK, I HAVE a "Keep calm and carry on" poster framed in my kitchen!! Etsy.com, and you can get them in lots of different colors. I hope this home shelters you from all harm as long as you chose to stay there. I also read a tip that you should break it into sections, then let it sit in hottish water for a little while to let the seeds loosen up. I am skeptical though. But YES for doing the work underwater!!! I'm surprised you chose "Keep calm and carry on" instead of "Keep calm and eat a cake". ;) Congratulations on the new place! You're going to feel a huge sense of accomplishment once everything is in place, trust me. Nothing feels better than finally having a "home". You're new place sounds lovely. All your hard work will be worth it once you're all done. I just discovered your blog, and I am so happy that I did. Your stories are wonderful and your pictures are great. I have enjoyed reading it so much that I have spent hours going back and back, reading older and older posts. Every time I think I will turn off the computer, I spot another one that I want to read. I am so enjoying this. Your food looks delicious, and you are a fantastic writer. Keep it up and I will keep reading! Sparrow Grace: Thank you so much! Glad you found me. Enjoy the settling in process Garrett. The first few weeks in a new place are always exciting...then you wake up one morning and it just feels like home (cos you don't have to think which way to turn to get to the bathroom). ok this is how i handle my pomegrantes. i score the skin all the way around the middle d twist them apart. pit the half open side down in the palm of my left hand (im right handed) and beat on it a few times with a wooden spoon. all the seeds pop out and go into a bowl. repeat with other half. i also soak my pom seeds in large bottles of vodka for a few weeks and add simple syrup after straining thru cheesecloth. the best pomacello ever. 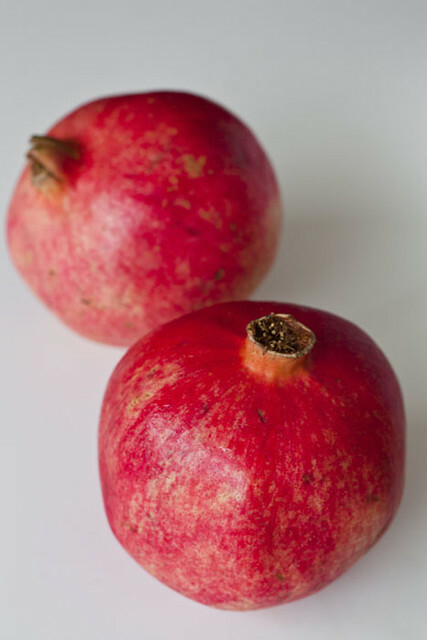 I learnt on master chef Australia recently that the best way to deseed pomegranates was to cut in half and then simply tap sharply on top of each half till the arils pop out. Looked very easy but havent tried it! And @Beth - am sure Garett knows exactly what the extra "e" means- he has just done his Masters! I prefer the whacking method, as my hands hate being submerged in water this time of year. 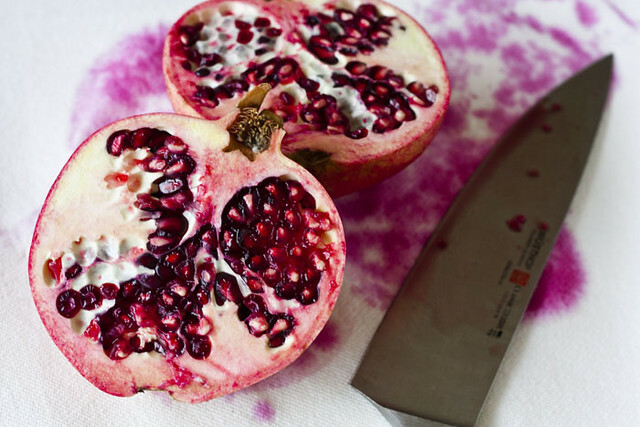 What I think is the best (aka least messy) way to deseed a pomegranate is to cut it in half around the center, and hit each half with a wooden spoon. The seeds should pop right out!